Want more Google Maps alternatives? Then read on. All of us have used a navigation app at one point or another before, during and after our travels. A large majority of us have used only Google Maps though. Google Maps seems like the most comprehensive and reliable navigation app out there. Currently, it has enough about it to prove useful in a ton of situations. Most of all, it doesn’t really matter if a person using the app is familiar with any given address that he/she may look up in the map app. Google Maps works for everyone and everywhere. People use Google Maps not only to find the shortest possible route to a given destination, they also use it to find everything from restaurants to public toilets and what not. Google Maps can also come in real handy when it comes to avoiding the traffic that is present during rush hour. 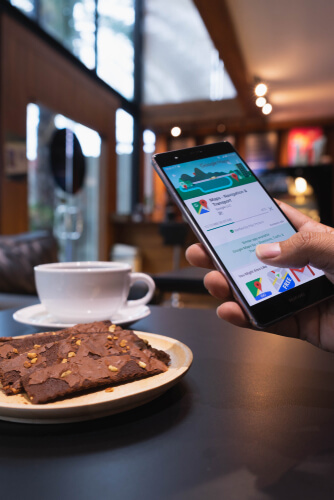 Again, Google Maps does everything so smoothly that it is widely considered to be one of the best navigation apps if not the best navigation app currently on offer at places such as Google Play Store and F-Droid. Of course, Google Maps is not perfect. The main downside of using Google Maps for all your navigation needs is that it tracks you whenever you use it. Some might argue that since it is a navigation app, maybe it is supposed to do that. And we can’t argue with that for the most part. 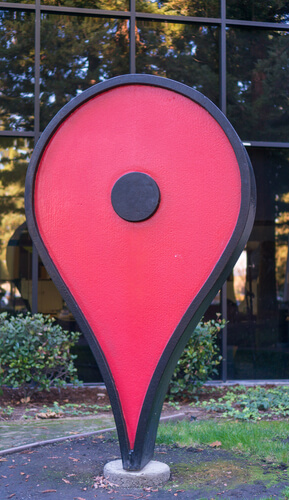 However, along with using the user’s location, Google also stores the user’s current location in order to serve the user better in the future. Or at least that is something that various media outlets have fed us till now. 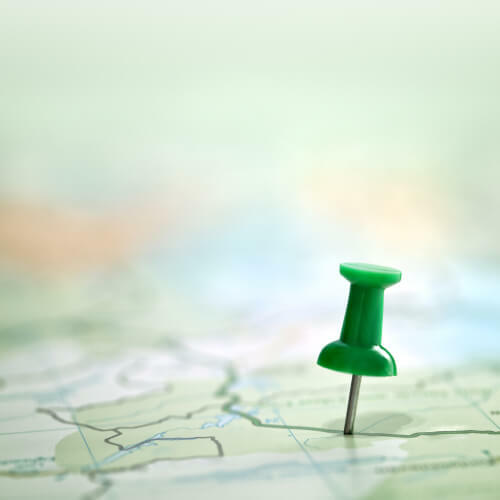 Recent news might have changed your view on this story because some have questioned whether or not various different navigation apps, including Google, need to make use of the user’s live location in order to work properly. Google, as a company, has always worked hard in getting the point across that it made sure its app users had complete freedom and choice to not only edit their location history but also delete it and/or turn it off via their account settings menu. The company also assured that users could do that for any of their devices and at any desired point in time. However, the reality is a little bit different. In other words, it turns out that Google actually does not allow users to have complete control over the data that the company has on them. Remember that this is the user’s own data that were are talking about here. The other thing that you need to understand is that turning off the location feature though helps but is a far cry from a good solution. What we mean to say is that you are free to turn off your device’s location features. But that does not make much difference to Google when it comes to creating a complete timeline of the user’s location. Maybe turning off the location feature only hinders Google for a day or two. In simpler terms, if you think that turning off your location feature is going to prevent companies like Google from knowing your true location, you think wrong. The fact of the matter is that whenever and wherever you open up any of the apps that Google offers such as Google Maps or Google Search, the app is going to send some timestamps to the company. Almost all of Google services make use of such procedures. Now, with that said, it’s also true that if the user has a wish for it and has enough time then he/she can make his way to his/her My Activity account page and delete all related records by manually navigating to the proper place. That is, the place where Google stores all that information on you. More specifically, all that you really need to do here is to go to the My Activity page of your account and then select the option that says Delete activity by. Once you do that, the page should show you a drop-down menu. Using that menu, you should have no problems in selecting the option that says All time. Keep reading as we are going to unpack a lot of stuff today. Are there any Google Maps alternatives let alone best Google Maps alternatives? Some of the new up and coming navigation amps even have the ability to work offline. It might seem strange but there is a way to use navigation apps offline as well. If Google Maps does not want to get involved in that sort of stuff, well then that is the company’s own decision. But the main feature that you will likely notice very quickly when it comes to Google Maps alternative navigation apps is that such navigation apps do not engage in tracking the user’s location. However, there are some drawbacks that all such navigation apps have to learn to deal with. Without extensively tracking the user’s location, these apps (when compared to Google Maps) have limited functionality. Not only that, a few of such navigation apps also give occasional inaccurate destination directions. But keeping that side, even though it is true that such navigation apps do not really know the exact location of the user when the user is making use of the apps, they still manage to get a hold of at least some portion of the user’s location data while the user is making use of the navigation service. Whenever you want to make use of navigation apps regardless of the fact if they belong to Google or not, you really have no other option but to give up some information. There is no practical way to get around this since you have to sign up for the app and hence have to provide some kind of registration information to the navigation app. Moreover, the law requires these navigation apps to collect such data. Apart from that, you have to give up some more data whenever you want to access a given service’s customer service because they can’t work with you if they do not have your details. For upgrades and further development of the app. This includes the model of the user’s internet-enabled device from which he/she is accessing the application and the user’s IP address. Without revealing such information to a given navigation app, there is no way for the user to make use of the app for any productive tasks. Whenever you actually make use of a navigation app to do some navigation, you have no choice but to enter a specific location. Now, there are usually two options of providing such information to the app. You can reduce the amount of work that you have to do in such cases b y allowing the app to automatically detect your location. Or you can spend a bit of time and make some effort to provide the app your current location (or some place close to your location) manually. Such type of information can help the navigation app in returning the language and region-specific (hopefully relevant and accurate) search results for the user’s query or queries. Cookies exist to collect the user’s data. The makers of the given app then make use of that data for marketing analysis. Not only that, such information is very valuable for search apps to serve their customers or users with targeted advertisements. As you can imagine, most of the time these targeted advertisements make use of the user’s online web behavior and habit information. These are just some of the cases where you have to give up information to any given application. At this point, we hope that you understand that there is not a single navigation application on the market that has the ability to work in any meaningful way without collecting any user data. Best Google Maps alternatives that you should try at least once. Here is the list of great Google Maps alternatives that we think are great options for those people who are concerned about their online privacy. 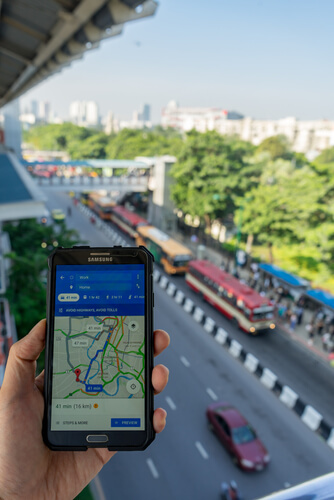 Our research shows that OpenStreetMap is one of the handful of navigation apps that can really hold its own as a legitimate and working Google navigation app alternative. Some even consider it to be a great navigation app on its own, but we usually leave that up for the reader to decide. What you really need to know about OpenStreetMap is that it is actually a platform that is completely non-profit. Some say the platform takes its inspiration from other such online projects such as Wikipedia. It makes full use of the concept that we know today as open data. Well that means, anyone and everyone can make edits to any given map across the entire globe. When it comes to the actual app though, it is easy to see that this navigation app takes all its data from various contributor camera along with ground surveys and GPS units. Now, the other thing that you need to know here is that this navigation app is based on various volunteer contributions. No one has the privilege to post anonymous content. In other words, you first have to sign up with the service before moving in and making edits. With that said, it is also true that there is no compulsion on the user to give up his/her GPS coordinates. Though you can do that if you want to. Moreover, the app does not really have an interest in giving up all of its user data to third-party companies just so that it can make a bit of money by showing targeted advertisements. Our research shows that users who require a simple but working navigation app should give this one a try. As a matter of fact that if you have the ability to get past the superficial stuff then OpenStreetMap is actually pretty good at doing its job. The overall design of the app makes it quite easy to use. Not only that but OpenStreetMap app’s latest version has the ability to offer users directions in different contexts such as walking, driving, and cycling. And it does that quickly enough that you won’t be pulling out your hair anytime soon. However, we should also mention here that the app does take the help of a few third-party online services to actually run and also update it. You should also know that the only people who have the privilege to make use of any given user’s personal data are the system administrators. The OpenStreetMap service makes sure that it completely deletes all of the user’s details such as the IP address of the user every 6 months or so. That should not cause a problem to any user who wants to make use of the service without giving up his/her information since all of that data comes under the jurisdiction of the European Union. The service also has no other choice but to comply with the new GDPR rules and regulations. This navigation app option is perhaps the most known one. At least, if you believe the numbers that are put up on the Google Play Store. Maps.ME has the ability to work completely offline. Not only that, it also gives you all the navigation results that you could need along with the directions for over 345 island sand countries. Our research shows that MAPS.ME is probably the single and only application that displays information related to hiking trails at various different points of interest. MAPS.ME does have a reasonably fleshed out online version as well. With the online version enabled, it makes it fairly easy for users to find out the best routes that offer the least amount of traffic. It also offers information related to public transport as well as cycling navigation. MAPS.ME also enables users to get recommendations and reviews from the people living in the area as locals. Users can bookmark such points of interest and other places and then share their present location with their contacts. MAPS.ME is an open source platform. For the end user that means, anyone with enough skills, time and will can look up the entire source code. In the process of doing so, MAPS.ME gives everyone the opportunity to find out any vulnerabilities in the way it handles user data and offers its services. The other thing that we should mention here is that the app gets all of its data from databases such as OpenStreetMap. However, you should keep in mind that it does make use of user location and other such information in order to serve them targeted advertisements. Just like the first option that we mentioned in this article, MAPS.ME complies with the new GDPR rules and regulations. For the end user that means customers living in the European Union have the option of asking the providers of the app for more details about all the information that the might have collected on them. Not only that, customers living in the European Union can also ask the service providers to delete all of their data. But MAPS.ME tries its best to take care of non-EU uses as well. Overall, we feel that this is a navigation app that has proven itself to be not only secure one but an app that puts a great premium on the privacy of its users. The company who has developed HERE WEGO is Nokia. Don’t skip to the other option. HERE WEGO offers all users a good collection of various different points of interest. And it does that regardless of the fact if the user happens to have an internet connection or not. Now, we are of the opinion that this application is great for a traveler who likes to save a lot of money. More specifically, it gives the user the ability to compare various kinds of public transport routes if they are available and also offers them real-time data related to traffic for a total of 200 countries right on their internet-enabled devices. Of course, Here WEGO is not as polished or streamlined as, say, Google Maps is. But even then, comparing it with Google Maps, we feel that it offers a good number of useful features. In the beginning of this section, we told you that Nokia developed HERE WEGO. What we did not tell you is that the likes of Daimler, Audi, and BMW own HERE WEGO. You probably do not need us to tell you that these are some really big and renowned car manufacturers. The HERE WEGO app comes with a Places option. This is where users can know more about nearby gas stations along with pharmacies, ATMs and theme parks. Similar to Google, the HERE WEGO app makes use of behavioral advertisements. However, it gives users the option of changing the default settings and prevent the app from ever getting enough data to profile them. Each time a given user ends his/her session, the app provides them with the option of deleting their timestamps that they use for navigation and other stuff, almost instantaneously. Our research shows that Here WEGO does everything it can to comply with the new GDPR regulations and rules. So compared to Google Maps, you know for a fact that it is more data-secure. This navigation app is perhaps the one great free navigation app that we recommend for everyone to try out at least once. It offers users pretty much everything from plenty of POI (points of interest) and information about relevant traffic conditions to an offline mode with GPS navigation. You, the user, have the option of getting reliable TripAdvisor recommendations along with speed limit warnings and parking spot hints. It also supplies the user with lane guidance and any available information on road closures. Apart from that, the good thing about this app is that it complies with all the GDPR regulations and rules. Our research shows that people who like to travel a lot would definitely appreciate the travel-friendly application which offers users of all sorts of personalized travel guides. This is also a good time to mention that HERE WeGO has the bigger database. But we feel SYGIC does a better job of combining travel information with maps all sourced from places such as Wikipedia. To further prove that it is a serious alternative to Google Maps, the app enforces pretty strict rules for things such as user data storage. This app does collect user data but only for app improvement and there too, it deletes all the collected data after a period of 3 months has passed. The service goes as far as deleting all the backups every 3 years as well. As for system and security logs, the app deletes them every 12 months. This is the navigation app that you can download directly from F-Droid. Just like most options on this list, it too makes use of the OpenStreetMap database. Following from that, it also allows editing. It is open source and has an active community with lots of user contributions. You can’t go wrong with this option either. It goes without saying that you can always subscribe to a VPN service if you want to hide your data and protect your privacy. Click here to read more about the top VPN service providers in the world right now.